With a closed clubface and a neutral grip, the only shot you should hit is a hook. Make it easier on yourself by closing the face at address. 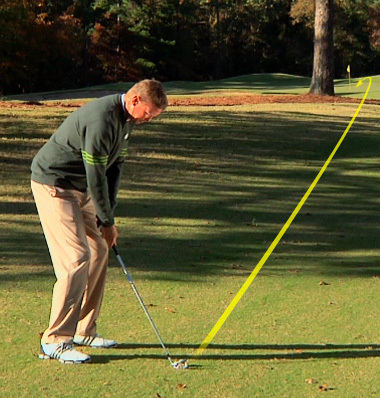 This way you won’t have to rotate the face through impact, and you can take your normal swing. As you setup to it, point the clubface to the target. To hook the ball, you should align your body to the right of the target. 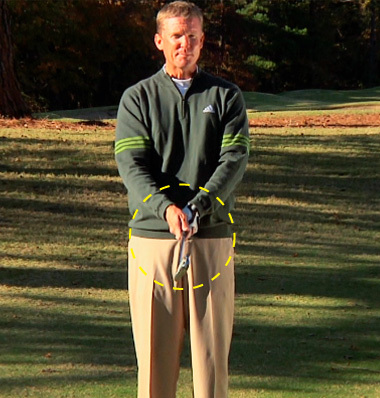 You should be pointing in the direction of your initial ball flight. As you swing through, the ball will start down your line and move around the tree. It seems maybe modern theory would have you aiming more to the R with the face, not at target; but path more R than that. Then you hook wouldn’t have resulted L of target.. BUT I love your tips every week and enjoy your DVDs. Hi Shawn, greetings from Australia, I now realise I am not closing the club face enough and the shot goes on a straight path to the right of the green. I look forward to trying out at the local range….Great tip. this tip should be part of your hot tips #3 video..